A CIA employee who contributed thousands of dollars to Hillary Clinton in 2016 and who is a registered Democrat announced his decision to leave the agency in a Washington Post column published Sunday, writing that his departure "had nothing to do with politics." 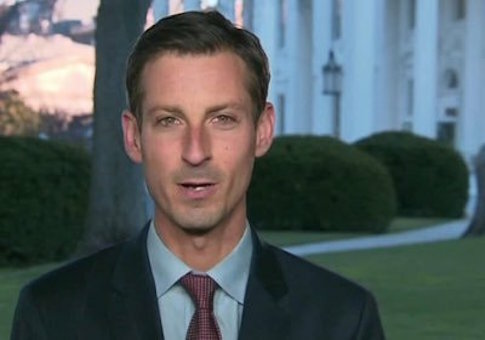 Edward Price resigned from the CIA last week and used the Washington Post to explain his decision that he could not "in good faith serve this administration as an intelligence professional." Price wrote that his "decision had nothing to do with politics," and that he "would have been proud to again work under a Republican administration." "As intelligence professionals, we’re taught to tune out politics," Price wrote. Unmentioned by Price or the Washington Post is the fact that Price gave $5,000 to the Hillary Victory Fund, a joint fundraising committee that splits contributions between the Clinton campaign and the Democratic National Committee. Public records indicate that Price is registered to vote as a Democrat in the District of Columbia. Price rose through the ranks at the White House during the Obama administration. By the end of the administration, Price was the top spokesman and a senior director for Obama's National Security Council. Price reportedly worked hand in hand with Obama's deputy national security adviser Ben Rhodes in his effort to create an "echo chamber" during the administration's nuclear negotiations with Iran. When the news broke that Iran was holding American hostages in the lead-up to Obama's 2016 State of the Union address, for example, it was Price who was ordered by Rhodes to begin spinning the administration's "well-cultivated network of officials," according to David Samuels of the New York Times. "Price turns to his computer and begins tapping away at the administration’s well-cultivated network of officials, talking heads, columnists and newspaper reporters, web jockeys and outside advocates who can tweet at critics and tweak their stories backed up by quotations from ‘senior White House officials' and ‘spokespeople,'" Samuels wrote. "I watch the message bounce from Rhodes’s brain to Price’s keyboard to the three big briefing podiums — the White House, the State Department, and the Pentagon — and across the Twitterverse, where it springs to life in dozens of insta-stories, which over the next five hours don formal dress for mainstream outlets." Ned Price, Rhodes's assistant, gave me a primer on how it's done. The easiest way for the White House to shape the news, he explained, is from the briefing podiums, each of which has its own dedicated press corps. "But then there are sort of these force multipliers," he said, adding, "We have our compadres, I will reach out to a couple people, and you know I wouldn't want to name them—"
"I can name them," I said, ticking off a few names of prominent Washington reporters and columnists who often tweet in sync with White House messaging. Price laughed. "I’ll say, ‘Hey, look, some people are spinning this narrative that this is a sign of American weakness,'" he continued, "but—"
"In fact it’s a sign of strength!" I said, chuckling. "And I’ll give them some color," Price continued, "and the next thing I know, lots of these guys are in the dot-com publishing space, and have huge Twitter followings, and they'll be putting this message out on their own." The Washington Post did not respond to a request for comment on its decision not to note that Price gave $5,000 to Clinton. This entry was posted in Politics and tagged CIA, Washington Post. Bookmark the permalink.